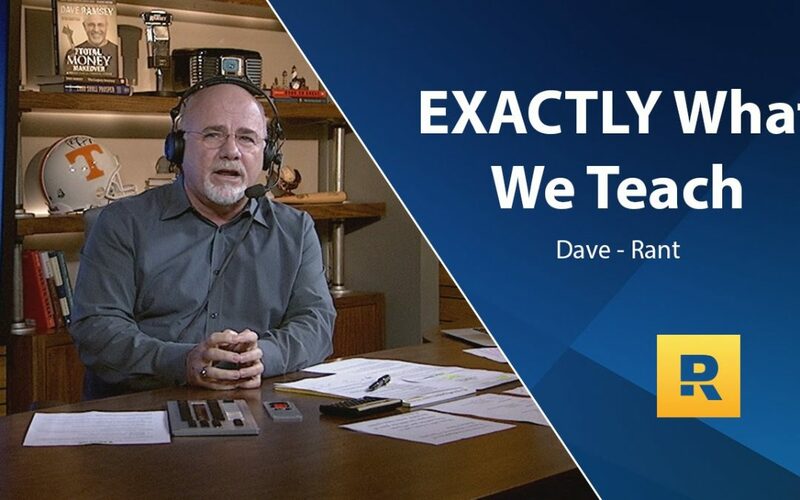 What Exactly Does Dave Ramsey Teach? This video is a great review of exactly what He teaches and why He teaches it. So many people can go through his program and not truly understand the principles and the bottom line that He’s teaching. He has learned that there are five things that older generations used to know and teach about money, and that the bible covers concerning wealth, debt, and money – Biblical methods of handling money. There are five things He says you should do, while earning money, to build wealth. The level of tragedy and income you encounter will affect the magnitude of the wealth that is built, but not matter what – you’ll build wealth if you operate by these 5 principles. Even Jesus said you shouldn’t start building something without first planning and counting the cost, lest you begin and get stuck and are unable to finish. For emergencies that will arise. For retirement and college so you can be generous and free. 3 Get out of Debt. When you don’t have payments, you have money! The borrower is also a slave to the lender. Your income is your greatest tool for life, and when you owe it all to the bank and to pay other people all the time, it’s not helpful. Get out of the business of being a borrower. Whoever you spend time around is who you will become. The people you run around with transform you into something – so invest in being around wise people, who are growing. Don’t spend time with shallow fools. Dave Ramsey took these 5 Principles and wove them into the 7 Baby Steps. The seven baby steps are the process or the prioritization plan for how to live out these 5 principles. 1 – Build a $1,000 Emergency Fund. 2 – Live on Beans and Rice and Attack your Debt with a Vengeance in a Debt Snowball. 7 – Invest and Give like crazy!